Here’s the real issue concerning Edward Snowden. The world can’t seem to make up its mind on Edward Snowden. When the former National Security Agency technical contractor leaked top-secret details about America’s mass surveillance programs, many called him a hero. More than 124,000 Americans have signed a petition on the White House website saying that “Edward Snowden is a national hero and should be immediately issued a full, free and absolute pardon.” Others, like House Majority Leader John Boehner, are calling him a traitor for his actions. But in all of this, one thing has become abundantly clear: Much of the world doesn’t care what America says anymore. America’s influence in the world has diminished so much that nations aren’t afraid to laugh in America’s face. America has reached a new low. “The fact that people don’t like the United States is not new,” wrote political commentator Charles Krauthammer. “What’s new is that these non-likers have no respect for the United States. … [N]obody worries or cares about what Obama says because it carries no weight” (Real Clear Politics, June 24). As America tried to get its hands on the wayward Snowden, it met nothing but opposition and scoffing. For America to get a civil rights lecture from China is certainly telling of just how bold China has become in its defiance of America. China’s lack of human rights and civil rights has been criticized for decades. Just last month, Chinese authorities censored online searches related to Tiananmen Square on the anniversary of the event. The Guardian reported that “Chinese Communist party authorities, fearing a threat to their legitimacy, forbid open discussion of the so-called ‘June 4th incident’ in the country’s media and on its Internet.” Yet China has the audacity to criticize America for spying. But the embarrassment didn’t stop there. When the U.S. submitted an arrest warrant to Hong Kong for Snowden, Hong Kong refused to hand him over because there was a problem with the paperwork: Snowden’s middle name was wrong. Hong Kong’s immigration records listed Snowden’s middle name as Joseph, but the U.S. government used the name James in some of its documents, according to Hong Kong Justice Secretary Rimsky Yuen. 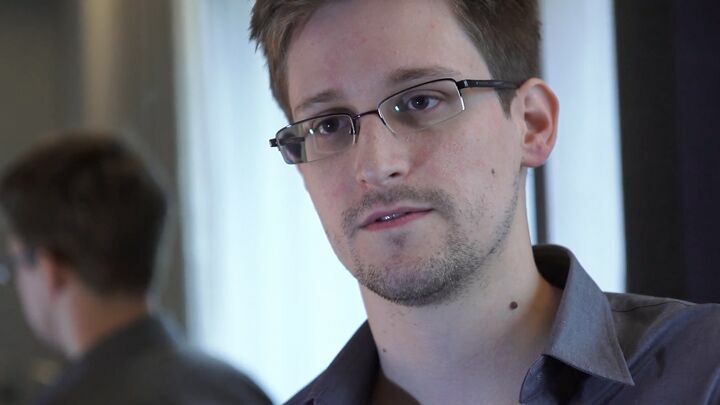 He also said the U.S. did not provide Snowden’s passport number. This “mix-up” allowed Snowden to fly to Russia and avoid being turned over by the Chinese. After Snowden fled to Russia, the U.S. got much of the same treatment from Russia that it received from China. When Washington criticized Moscow for allowing Snowden to enter Russia, Russian Foreign Minister Sergei Lavrov shot right back that “all the attempts we see now—attempts to accuse Russia of violating U.S. law, of conspiracy almost, accompanied by threats towards us—are completely unfounded and unacceptable.” Russia, too, had no problem standing up to America. When the U.S. demanded that Russia hand Snowden over, Russian President Vladimir Putin refused to comply because there is no formal extradition treaty between Russia and America. Also, because Snowden is in a transit zone, he is not technically in Russia, according to President Putin. Russia even went as far as to offer Snowden asylum if he stopped activities aimed at the United States, but Snowden turned down the offer. While Snowden has applied for asylum in over a dozen countries, it has been speculated that Ecuador would be the country to take him in. Already Ecuador has shown its contempt for the West by granting WikiLeaks founder Julian Assange asylum in its embassy in London. On Thursday of last week, after the U.S. tried to pressure Ecuador to drop its consideration of Snowden’s asylum request, Ecuador responded by waiving the Andean Trade Preferences Act, a trade agreement between the U.S. and Ecuador. But Ecuador didn’t stop there: Officials also offered the U.S. $23 million a year to finance human rights training. To see America humiliated on the world stage, especially by such a little nation like Ecuador, is painful for many Americans to watch. You have to wonder: What is happening to America? There was a time when America spoke and the world listened. But those days are long gone. Today, when America speaks, the world laughs. The events surrounding Edward Snowden’s flight from America are proof positive of that. America’s growing ineptitude in the world is exactly what Bible prophecy said would happen in the end time—the time we are living in right now. America is cursed because it turned its back on God and refuses to obey His law. God says that He is making America “a reproach unto the heathen, and a mocking to all countries. Those that be near, and those that be far from thee, shall mock thee, which art infamous and much vexed” (Ezekiel 22:4-5). Hasn’t America become infamous and hated over the past few decades? Isn’t America vexed? It’s painful to watch someone you love dying of a terminal sickness. The same must be said of seeing a country you love die.America suffers with several ills from which it will not recover. This reality is becoming inescapably plain. There is hope—a bright, shining, sure hope for this country. But it is most certainly not to be found in any of the sources that naive optimists look to. We must face facts.The virtues America once embodied have largely faded. The blessings America once enjoyed have been squandered. America’s military dominance is proving inadequate. Its wars are proving impossible. Our allies are leaving us. Our enemies are provoking us. This is the simple reality: American resilience isn’t going to save America. America is too far gone to be saved by men. But there is hope. America can and will be saved by Almighty God. At Christ’s return, America will once again be restored as one of the undisputed global powers, this time as the model nation God always intended it to be. To fully understand why America is in decline and where it is headed, be sure to read The United States and Britain in Prophecy.